This Black Maxi Dress with Silver Jewels and 3/4 Sleeves is absolutely stunning! With its elegant pairing of Black and silver jewel detail. Perfect formal jeweled maxi dress for every special occasions. 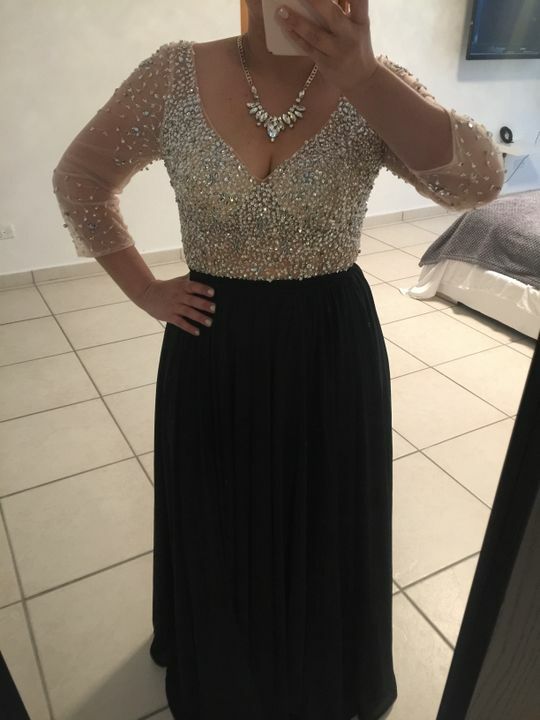 Muy contenta con mi traje aunque corre un poco pequeño, recomendación pedirlo una talla más grande, pero el traje está muy bien confeccionado y la tela es de muy buena calidad! 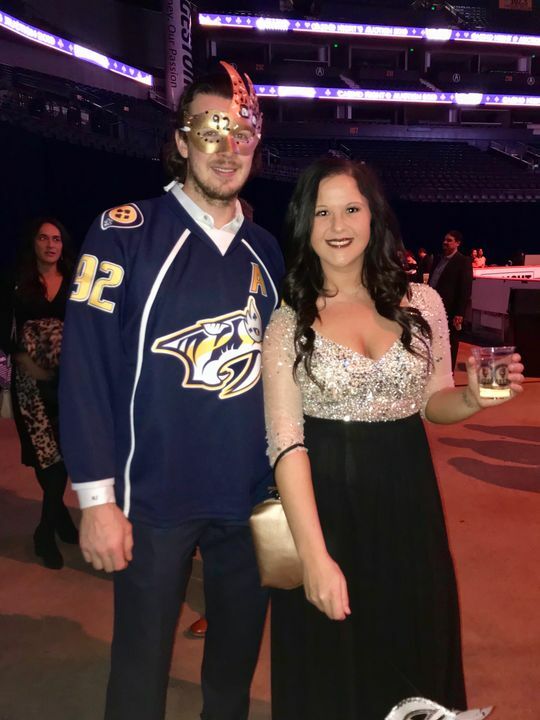 I wore this dress to a Masquerade Party, and I got a ton of compliments on it all night. The sizing chart is spot-on, the jewels and sequins are gorgeous and sturdy, and the black bottom of the dress is long and flowy. It’s super comfortable too! The only thing I would change about it is the amount of room in the chest area, especially on a size Large like I had. I had to adjust a few times, but otherwise I’m so happy with my purchase! This dress is gorgeous! It fit perfect, aside from length, but I'm short and I knew length would be long. Great quality, got so many compliments!!! So glad I found this store!!! Soooo happy with this dress. The chest was a little too low for me so I got it altered and tightened the sleeves, but other than that it fit perfectly! I’m a size 4/6 and I bought a M. The dress is so gorgeous, all the detailing looks just like the picture. The skirt is also amazing, it’s my dream prom dress and I can’t wait to wear it!